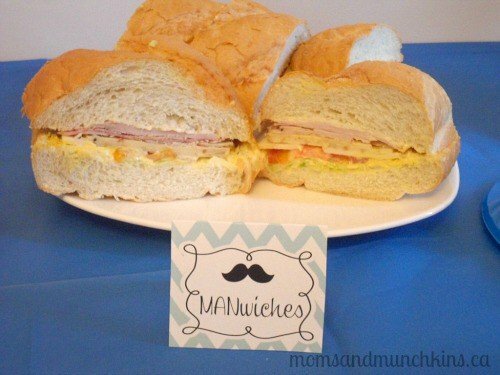 A Little Man Baby Shower is such an adorable idea! 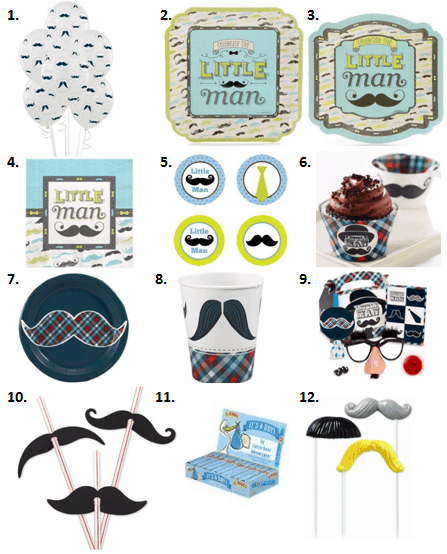 I love all of the little mustaches and bow-ties. There’s just something so cute about a little baby in a bow-tie! Here I’ll share ideas for invitations, decorations, food, activities and favors. At the end of this post, I’ll provide you with links to the party suppliers featured in this post so you know where to go to find your own supplies. So grab your paper, pen and monocle and get ready for some fun ideas! 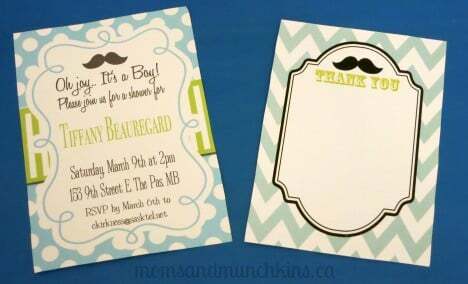 Your Little Man Baby Shower invitations could include wording such as “Mustache Bash”, “Black Tie & Diaper Event” or “Oh Joy…It’s a Boy”. You could invite your guests to come dressed for the occasion in a fun tie – you could even award prizes for the most original tie! Matching thank you cards are an important item to consider when planning your invitation. 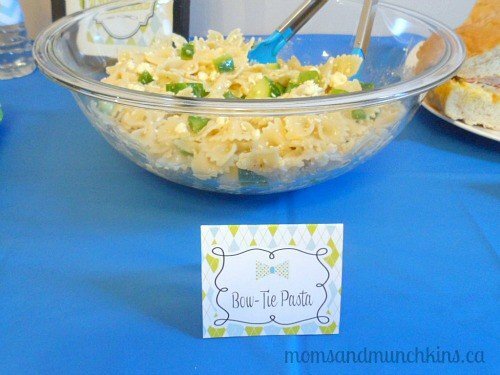 Bow-ties and neckties are another cute accent for a Little Man theme. 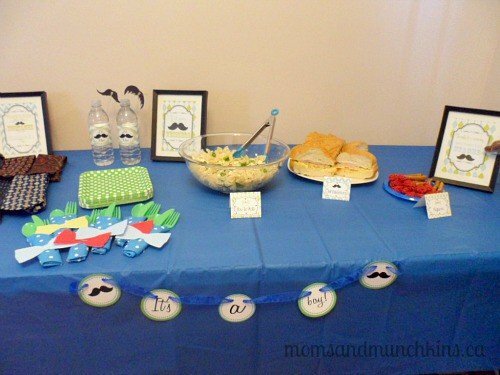 You can welcome guests to the party with a sign similar to “Welcome to the Little Man Mustache Bash! 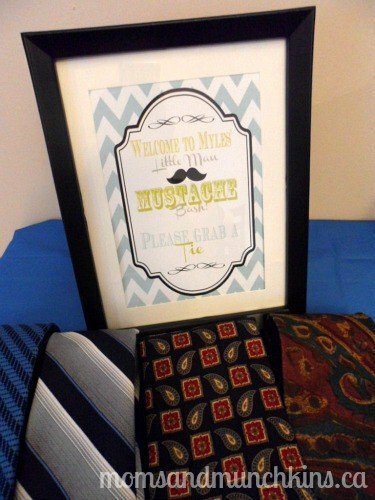 Please grab a tie.” along with ties for guests to wear at the party. Your local thrift store is a great place to buy inexpensive ties. 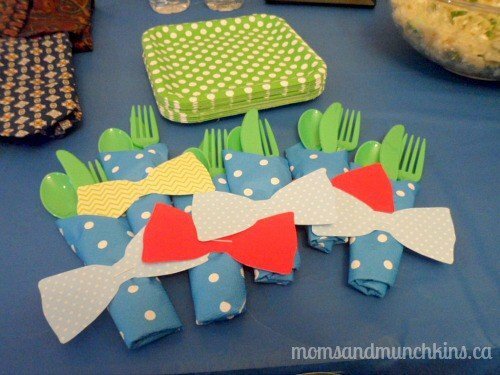 Paper bow-ties can be used as napkin rings and in between words on a customized banner. 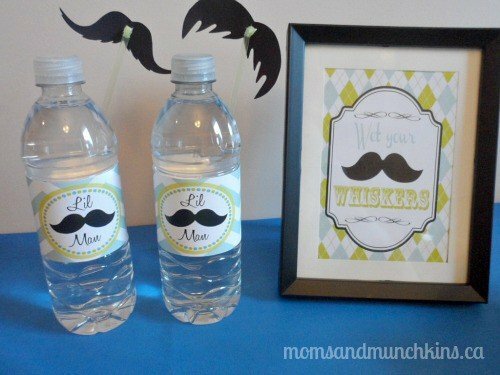 Invite guests to the drink area with a fun “Wet Your Whiskers” sign. 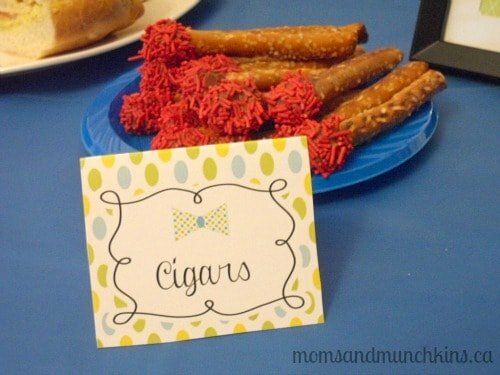 A fun drink for a Little Man Baby Shower is beer – Root Beer that is! Personalized labels are a cute touch along with some mustache straws. You’ll always want to include water for those guests who don’t like pop or sugary drinks. 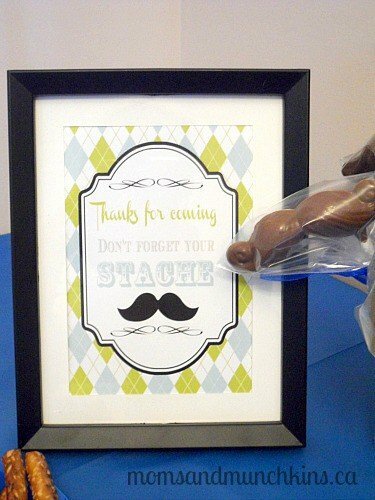 Since a Little Man Baby Shower is filled with mustaches and ties, a fun activity idea is to plan a photo booth area. This photo area can include props such as mustaches, ties, glasses, walking canes, top hats, fishing gear and even some feather boas for those that choose to dress like little ladies. 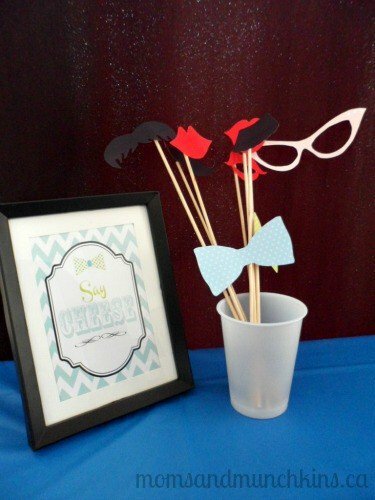 A simple “Say Cheese” sign is perfect for welcoming guests to your photo booth area. Be sure to have someone assigned to take pictures! This would be a great addition to thank you cards after the party. We’re always adding new ideas for parties and celebrations. Never miss an update by following us on Facebook, Twitter, Pinterest and Bloglovin’. *Disclosure: Just a Little Sparkle provided the printable party set to Moms & Munchkins free of charge. I am part of the Amazon affiliate program. All opinions expressed here are my own.